At Wharfe Valley Stoves we have an extensive range of quality Wood Burner Stoves at extremely competitive prices. We supply well known quality names such as Dovre, Bosca, Stovax and more. 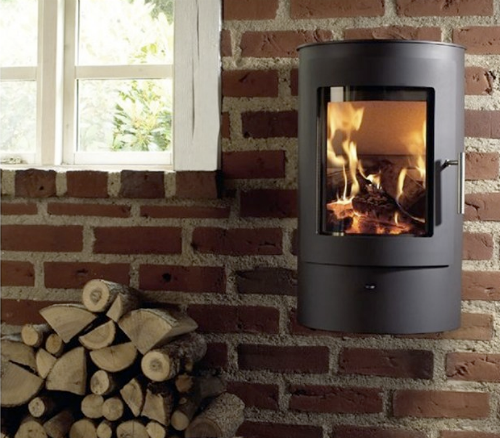 Our Wood Burner Stoves are extremely efficient and offer a high heat output without compromise on design. An open fire is likely to only be about 20% efficient, our Wood Burning Stoves can be as much as 80% efficient, three times that of a traditional open fireplace. Our carefully selected range of stoves are available in a range of traditional and contemporary designs which will look great in any room. Furthermore wood is carbon-neutral fuel, it does release carbon dioxide when it is burnt but this is equivalent to a tree that was storing it as it was growing. If the tree were to begin to die and rot it would still release off the same amount of carbon dioxide as when it is burnt. Wharfe Valley Stove’s also stock clean-burn systems that will circulate the gases burnt into the stove which are then burnt off enabling it to reduce emissions. All of our Wood Burner Stoves are available to view in our purpose build stove showroom based in Wetherby, Yorkshire. Here you can view live displays and get a feel to how your stove would look in your home. If you have any questions about any of our Wood Burner models of Stoves please don’t hesitate to contact us via phone, email or fill out the form in the footer. Alternatively, whu not call into any of our showrooms, we would love to help!